Word to the wise: never take your coat off in the winter! I made this mistake for the sake of fashion because I just couldn't not share this winter white favorite. I love cream colors in winter as they feel so clean and fresh, when you otherwise feel drag and dreary. 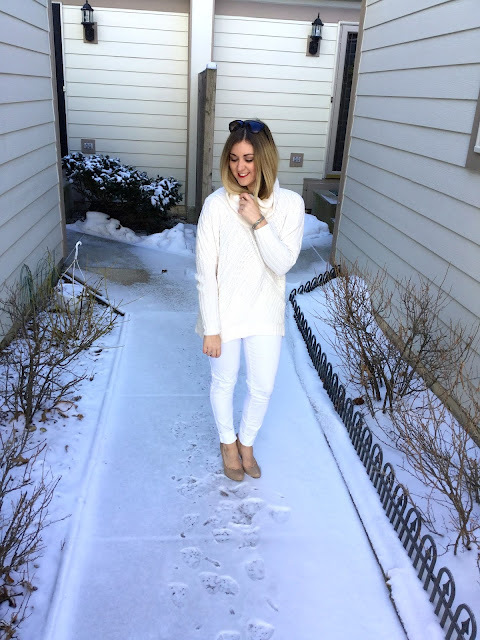 This chunky knit sweater is the perfect shade of cream to pull off this look and so warm as well! Also, if you're in the market for a new winter coat (many are on sale!) 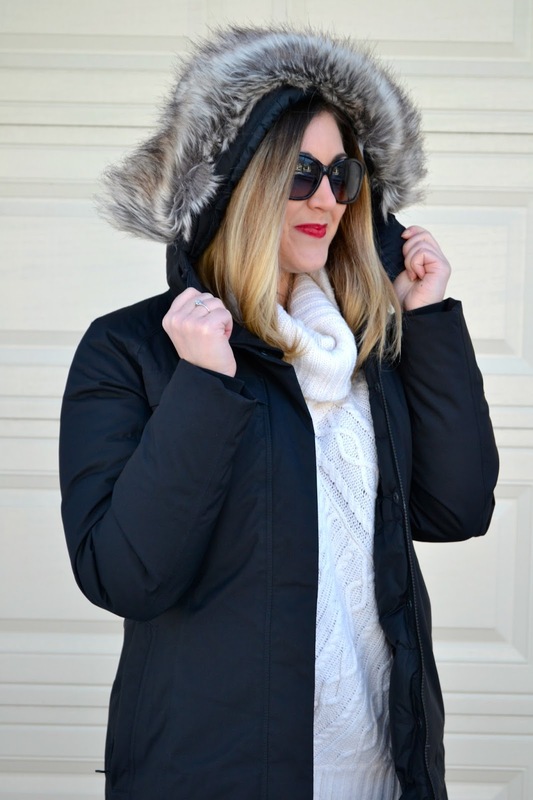 I recommend you pick a long one with a hood lined in faux fur, this one keeps me warm and looking great during the winter months.